Inspiration is a slippery thing at the best of times. But as a writer, you can't afford to wait around on Madam Muse's goodwill. In this encouraging audiobook, award-winning author K.M. 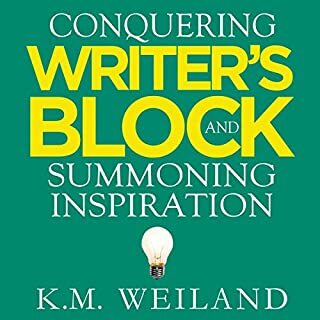 Weiland shows you how to nurture creativity and put it at your summons, rather than the other way around. Struggling to finish your novels? Learn how to tweak your workflow process and write one in only five days! After taking way too long to write a fantasy epic, author and educator Scott King refined his writing process so that he could crank out a novel in five days! Through easy-to-follow tips and helpful examples, Scott takes a theme and shapes an entire story around it. Let him walk you through the prewriting process, slogging through a first draft, and doing the rewrites. Let outlines help you write a better book! She completely reversed my position on outlining and by the time I finished this audiobook during my morning commute in the car I had completed an entire outline and first draft of my novel. KM breaks this all down in digestible and inspiring bits. Outlining Your Novel will go on my list of top resources that changed the entire way I work. I really enjoyed the author’s other book “Structuring Your Novel”. It made perfect sense and was well organised. This book, however, was confusing. 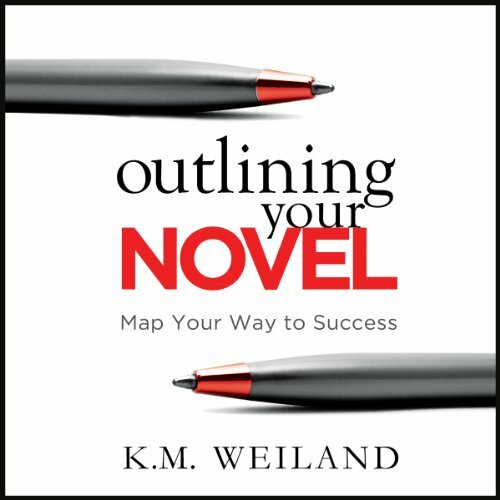 Its title promises a book about outlining a novel, but the author never defines what an outline is or what she means when she refers to “an outline”. The closest she comes is to give three examples of non-traditional outlines. And despite paragraph after paragraph on the importance of outlining, she never seems to explain how to actually outline a novel. She does this sort of thing elsewhere in the book, too. At one point she refers to a novel’s theme and why it’s very important, but never explains what a theme is. The book does offer a lot of advice that sounds practical and intuitively seems like it should be helpful. But, unlike her other book, this advice seems haphazard. There don’t seem to be clear connections between the topics discussed. 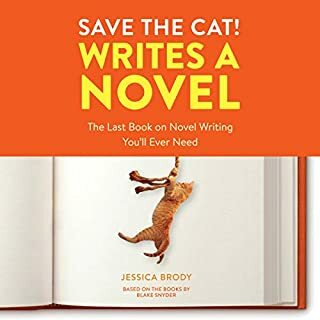 If you’re considering writing a novel, I would still recommend this book to you because, as I’ve said, it does seem to contain helpful information. If you only want to read one book by this author, though, I highly recommend the other one, “Structuring Your Novel”. Great listen, probably best for "beginners"
What made the experience of listening to Outlining Your Novel the most enjoyable? Felt like I was having a conversation with the author. Have you listened to any of Sonja Field’s other performances before? How does this one compare? First time I've listened to her. She did a great job, so this most likely won't be my last time. Having read a lot of books on writing, there's nothing new here. I'm of the opinion, though, that it doesn't hurt to have these lessons burned into your memory. And the writing and the narration make this such a delightful listen that it was well worth my time. 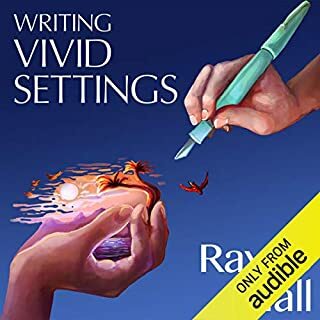 I have a number of really great books for creating fiction or writing your novel, but this is at the top for really and truly getting started on the right foot thru outlining! 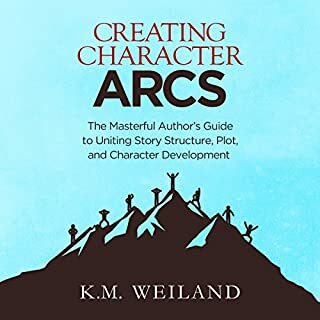 I've listened to Miss Weiland in several webinars and I love her style and direction both on the written page and in person. If you don't know where to start your novel start here! I have both the audio and paper back book and workbook! 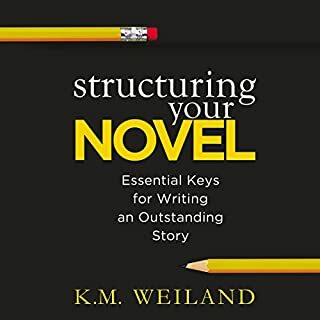 Author's description of the value of outlining as a tool to help organize a writer's thought process was helpful, also liked ways to end a scene to keep the reader reading. I liked the narrator's engaging voice and style, lively without being overbearing. I also listened to 'How to structure your novel' by the same author and narrator. I'm sure I'll listen to both books again and if they did something on Dialogue, I would probably check that out too. Liked: the author steps thru a justification for outlining methodically. The interviewer questions were dogmatic in their consistency for each author interviewed. Definitely reaffirming that outlining does not introduce too much differential equations into a creative process. structure is ok.
Dislike: I wish it delved a little more into various types of outlining and planning with more critiques on various planning tools. Clear, concise and valuable advice. Paired with Weiland's "Structuring Your Novel", I have the tools I need to overcome my writer's block. Thank you K.M. Weiland! The narrator's tone and pace made this a very easy and enjoyable listen. The information presented is proving to be very helpful. Good listen and read, plenty of info to mine and a lot of inspiration. The only thing I don't like is being told a time to finish an outline in. To be fair though, she starts the book by saying take what you want and leave the rest. A must-read for every writer. Thorough, inspiring, and smart. 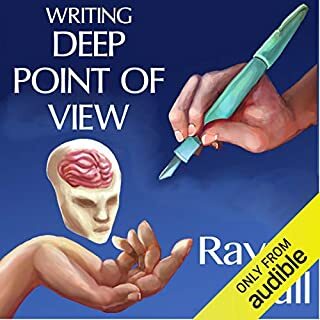 Delighted by a writing how-to audiobook that provides real value and clear direction--unlike many others. This has been great, it's really helped me put my thoughts in order and get going with my novel. What other book might you compare Outlining Your Novel to, and why? Not sure, I've read loads of writing books but this was the most practical and helpful. Have you listened to any of Sonja Field’s other performances? How does this one compare? If I'd had the time I would have. It's a really encouraging read with lots of tips and ideas. A must for all would be novelists. My first novel I wrote as a pantser. My subsequent books, a blend of plot vs flying by the seat of my pants. A lot of the things the author covers, I’m already doing, but this book is well presented, logical and interesting. It certainly contains some good organisational tips. Very helpful and ensuring if, like me, your still starting out. I wish I had read this before I wrote my first draft of my first story. An informative look at outlining, the different forms and levels, how to's and personal accounts. I've found it very useful for considering how I want to approach my next project, the proof will be in the pudding in regards to the method, but how the method is communicated is rate it as very good writing and and very good narrating. Very inspiring stuff! it has helped me get more organised as a writer which will be invaluable.